Whether you've already lost one or more teeth or have just been told that a tooth needs to be removed, the impact can be devastating. No one likes the idea that their smile will be incomplete, and we rely on our teeth for eating, speaking and smiling with ease. 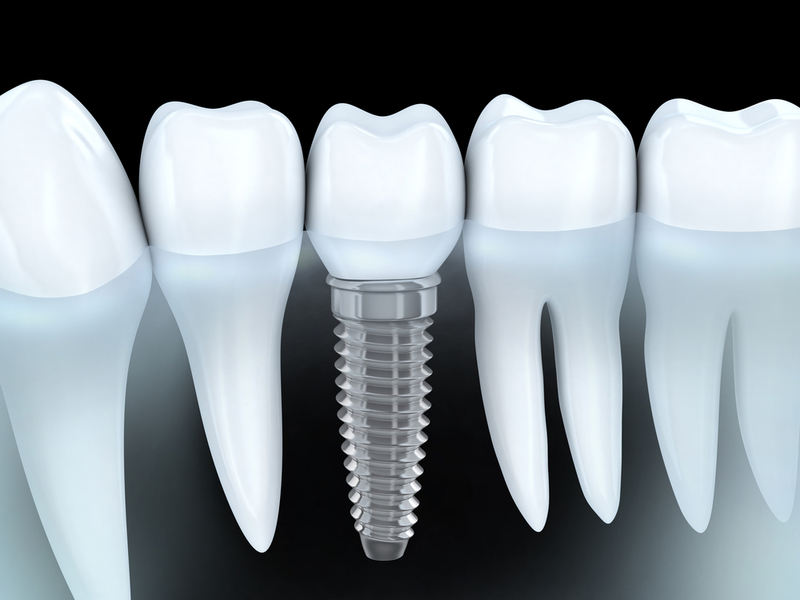 If you are considering getting a dental implant, then you need to be aware that the procedure is a surgical one. Because implants are the latest standard of care for replacing missing teeth, implant surgery is unlikely to be covered by your dental insurance. While costs can vary, implant treatment may be costly. Does that mean that you should go to the dentist who charges the least to give you an implant? NO! Consider it this way: if you were going to have heart surgery, would you want to find the cheapest surgeon possible to cut open your chest? Your answer to that question would be, "No, of course not!" Although price will always be a factor, you should also take into account many other things like safety, quality, care and long-term value. Dental implants are fixtures that are placed permanently into your mouth, and great care should be used when selecting a Doctor to perform this procedure. Once placed, it can not be taken out without considerable bone damage. More importantly, you will be relying on them every day to eat, to speak and to complete your smile. Isn't it important that they be done right – the FIRST time? At our office we offer financing options for our patients through Care Credit and other financial services programs. You can apply for financing at our office or in the comfort of your own home. An educated patient is a happy patient. We recommend that our patients research implant dentistry thoroughly, and understand what to expect when you decide to start the process. We welcome questions and concerns and what you to feel in control during the process. Many dental offices will tell you that after implant surgery, you should expect to wait at least 6 months before they can fit you with a crown. Think carefully: are you willing to be without the tooth or teeth in question for months? How will it affect your daily life? In most cases, we are able to fabricate a temporary restoration over the area, but there is a chance that you will leave "without a tooth" in the area of the implant. Please remember, this is just temporary. Thanks to the state-of-the-art surgical procedures performed by Dr. Said, you can expect healing time to be 3-4 months, not 6-8. How do I know that my procedure will be safe and pain-free? As with any surgery, there are dangers from possible infection, over or under-use of anesthesia. You can be sure that we have taken every possible precaution to make sure that your surgery here will be safe and successful. Most patients do not experience much discomfort after implant placement, but with any dental procedure, some pain or discomfort is to be expected. Dr. Said's surgery technique aims to minimize this.